CRM or Customer Relationship Management systems are designed to streamline the processes in your business involving your existing and potential customers. However, if you are a small business owner, you might feel hesitant to use CRM technology, mostly because you may find yourself unfamiliar with this new concept. Even entrepreneurs, who all are not so well versed in technology sourcing, many times avoid using software like CRM for their businesses. It is indeed true that technology can never substitute human touch when it comes to socialization and communication, but then again, CRM never replaces human employees in term of client management. Actually, the key benefit of using CRM for small business includes helping organizations to improve customer relationship and employ performance. CRM system provides organized and safe storage of customer related information. Using this technology helps in storing all your client information in one place and it can be only accessed by authorized users. Once you start using CRM software you can walk away from cluttered filing cabinets or stop using multiple Excel files to store records of your customer data. CRM ensures that your customer data always remains updated, easy to access, accurate, and secured. However, before you get started, it is utmost necessary that you must add your organizational details within the CRM platform. These details can include setting up time zone, currency details, the logo of your company, business hours, fiscal year, and others, which will reflect in your CRM account. Personalizing your CRM platform helps while sharing details of your leads, prospects, and customers with your business partners and professional colleagues both within and outside your organization. Unlike emails, which can be cluttered, CRM has a separate platform for receiving and sending client communication through multiple sources such as email, social media messages, and SMS. Therefore, using CRM software your client management personals can easily view client messages and also respond to their issues in a timely manner. Messages send by CRM platforms always reaches its targets. Moreover, engaging sales and marketing campaigns with a CRM provide your representatives access to nurturing tracks and a library of marketing-approved email templates that can be used by your agents to connect with their existing customers and prospects. You can also view a detailed history of your prospects and customer’s engagements with your brand right within the CRM’s web and mobile app. This lets you understand your customer’s exclusive interests and capitalize on the CRM platform’s real-time alerts so that you know exactly when your reps should reach out. It is natural that when people do everything manually, there are chances of many tasks and deadlines falling through the crack. However, using a CRM for Small Business will help you and your team to monitor your marketing campaigns and schedule your activities accordingly. While using a CRM, you can also use queues to prioritize, organize, and monitor the progress of the works of your agents. Technically speaking, queues are containers that are used for storing any activity that needs an action or requires to be completed. For example, closing a case or finishing a task that needs to be completed. You can create queues depending on the type of business your organization does. For an example, you can set up separate queues for ‘Level 1’ and ‘Level 2’ product support teams that reflect their different levels of expertise, or setup ‘General’ and ‘Exclusive’ queues to reflect different priorities based on the service contracts that your existing customers are having with your organization. CRM helps you to analyze your customer’s data more precisely, which aids in pinpointing your customer’s needs. Proper and efficient analysis of customer data using the CRM system helps in cross-selling your other or new products, which are in line with your customer’s previous purchases. 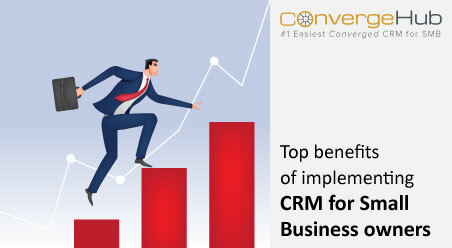 Therefore, CRM for Small Business helps in increasing your sales and find better results in conversions. 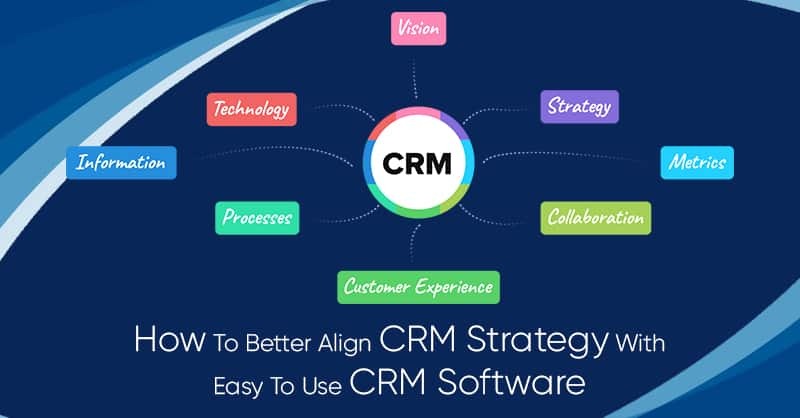 Implementing CRM in your business helps you to track every move made by your customers, which results in better client relation and improved service to your customers. CRM system also helps in finding leads that have the same criteria and wants as your current customers. However, direct customer feedback, which is presently available via indirect and direct means, such as social channels and data mining from communities, is still at the top. A comprehensive view of the customers, which is provided by converged CRM platforms, is necessary for rendering consistent customer response regardless of whom the company is trying to communicate or understand for engaging improved marketing campaigns. Moreover, CRM system should also capture customer data from store visits, partner visits, online buying patterns, and company blog comments. Once these data are collected in the CRM databank, the system can then generate psychological insights and demographic behavioral patterns of the customers, so that organizations can be made aware of their customer’s satisfaction with their services, response to marketing efforts, price changes and others. Converged CRM for small business like ConvergeHub and others helps your company employees to collaborate with all the departments in your organization. Since all the customer data is saved in one unified system, CRM aids in better exchange of information between Sales, Marketing, Accounts (Billing) and Customer Support. Employees using CRM can also share marketing ideas that are specifically targeted towards your customers and similar leads. According to certain researches done by Forrester, it has been found that companies do better on their quotes after implementing gamification, with more than 87 percent of reps attaining their quotas and more than 53 percent of new hires achieving their sales figures in the first year of their employment. While in absence of gamification it has been observed by Forrester that only 76 percent of reps reach their quota and 43 percent of new hires meet their desired requirements. CRM software can help you to concentrate precisely on your target markets. Using this technology, you can apply your marketing campaign towards individuals who have a higher interest in your product and services. Using CRM for Small Business, you can also create personalized email campaigns, which are more convincing and impactful for bringing in conversions. However, it is much easier to send out mass emails than to nurture those leads. This is because nurturing leads is imperative for your organization’s sales success, as the competition is ever ready to take away your clients from you. 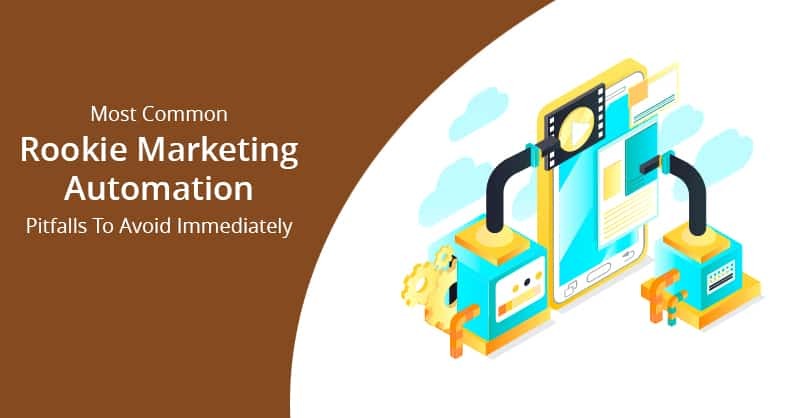 Hence, you can use your customer relationship marketing system’s email-marketing functions to send the correct email at the right time, with appropriate contents as with CRM platform you can schedule emails and tailor your messages. You can even separate your emails based on the types of leads you are targeting. Not only does it increase your brand’s credibility on your leads and prospect’s minds, but also scheduling reminders ensures that you respond to your leads quickly, which otherwise can turn into lost sales. 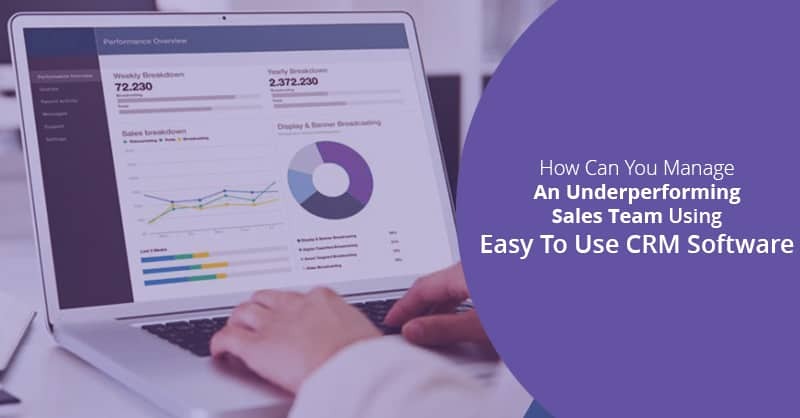 Only a CRM system can help you to track every stage of your sales process, which eventually results in generating even better leads and subsequently more sales. It is essential to remember over here that the last thing you need is to create an email campaign with bad data. As bad data leads to inefficiency, you can never generate more leads from your CRM system unless you keep your data clean. The primary step for maintaining a clean database in your CRM is to follow a set of standards for entering data into the system. This includes registering your leads and customers name, address, job title and more. In addition, you must also ensure scheduling consistent audits for quality data as well as clean your CRM database every three months for making your CRM system become more efficient and productive as doing this makes your data remain in good shape and so immediately ready for creating any direct mail or campaign. Most businesses have repetitive tasks, such as sending monthly reports or scheduling marketing campaigns and weekly follow-ups. 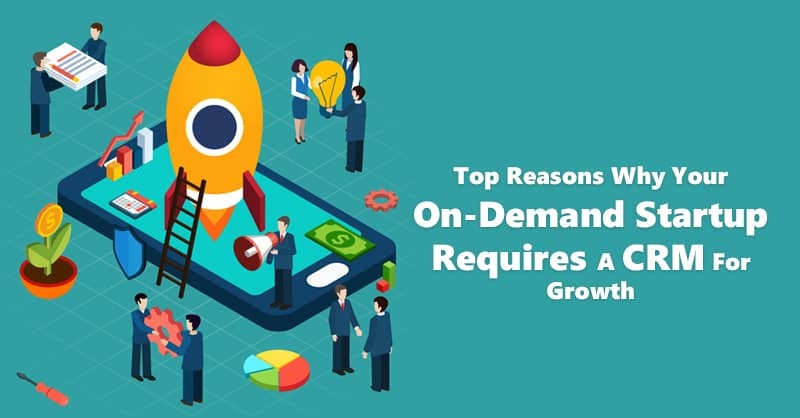 All these processes can be programmed into the CRM software using Salesforce Automation (SFA) tools, so that your employees may no longer handle the monotony of all these activities. All SFA systems are built with two main components, namely, content management system and sales lead tracking system. While content management system in SFA, tracks customer activities, helps in forecasting and keeps track of communication and sales history of the customers, sales tracking system helps in tracking leads and opportunities in the pipeline data of the CRM database. Many CRM for Small Business (like ConvergeHub CRM) can be seamlessly integrated with other programs such as project management, accounting, enterprise resource planning, supply chain management, and data processing software. This allows your organization to match your customer information with all other business processes within your company. When your company is in a growth mode, it is necessary that each of your employees must be operating at their optimal productivity. Hence, if your employees are bogged down with the disjointed and inefficient process, it can lead to errors and take time away from their more important core duties towards your organization. It has been observed that important processes like invoicing, order processing, expense approvals, to name a few, can take a longer time to get completed in the absence of third-party software installation within your CRM and even if they are done in time, they often prove erroneous. Labor intensive and manual tasks decrease the agility that your company needs to grow. Therefore integrating third party software within the CRM is most necessary for the prosperity of your business. Some of the most common third party software that businesses needs and are integrated with ConvergeHub (The #1 CRM for SMB) are QuickBooks, Gmail, DocuSign, GoToMeeting, Zapier, Twilio, IMAP, Outlook, RingCentral, Fonality, Box, and others. 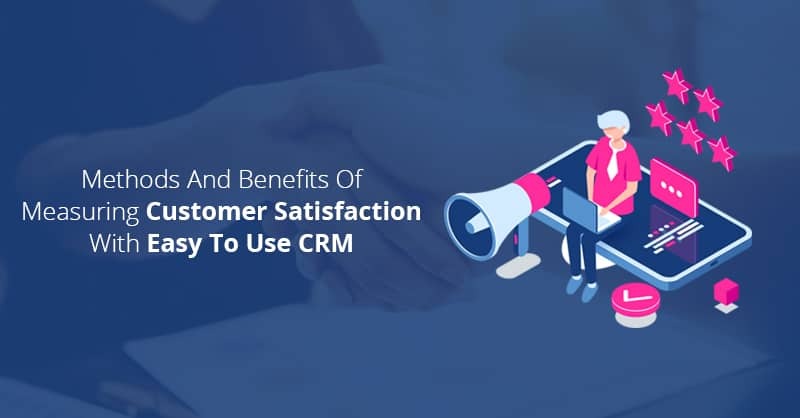 With close communication and timely response, once you adopt CRM technology for your organization, customers will be happier to work with you, as they will understand and recognize your efforts in keeping them happy. Happy customers are the bloodline of any company as they increase customer retention and bring in referrals, which lead to growth in sales and ROI. Lastly, always remember that your customers want to feel that they are interacting with real people, not bots and FAQs. Hence, offer more than just automated email responses but write responses when your customers post on your social media page. This shows to your customers that you are real people working on their behalf. Using a Social CRM or SCRM you can integrate social listening functionality within your CRM platform. 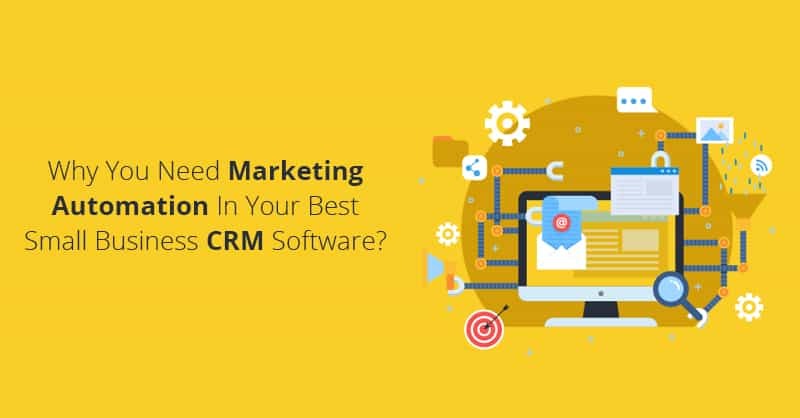 As a small business owner adopting a CRM system for your business, will definitely help you to achieve growth, however, you need to choose your system wisely. Therefore, jump start your selection process, in case you need any help in choosing the best CRM for your SMB, contact us for your free trial of ConvergeHub CRM by clicking on this link or writing in the comment box below.